Conradin Brotbek was born in Biel in 1960. 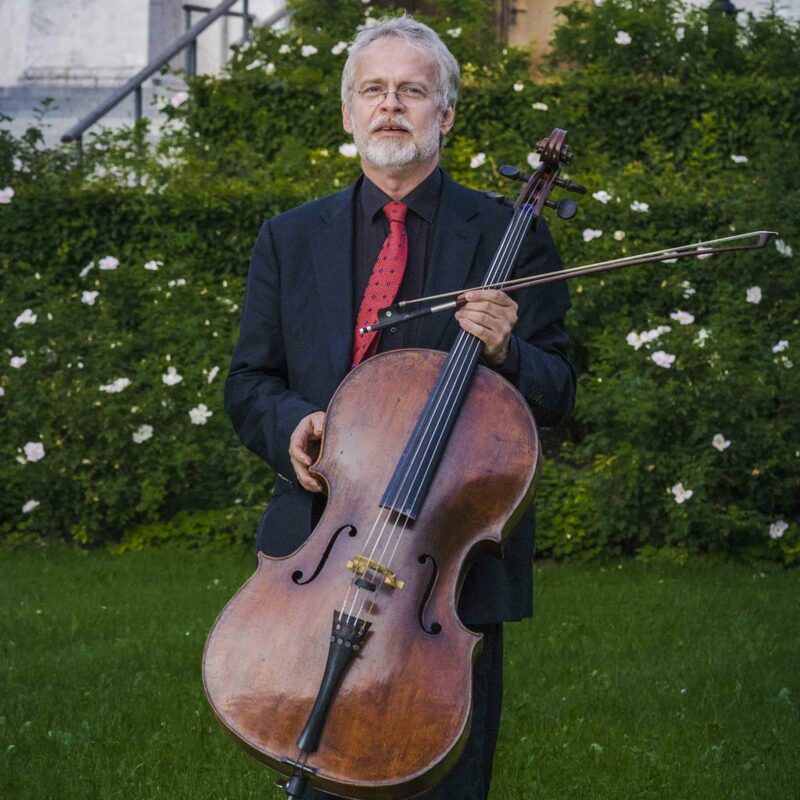 Since 1987 he teaches at the Bern University of Arts violoncello and a chamber music class and since 2001 at the International Summer Academy Lenk. In 2007 he was appointed Professor of Violoncello at the State University of Music and Performing Arts in Stuttgart. Conradin Brotbek plays the Joseph filius Andrea Guarnerius-Cello “ex Jules Delsar, André Levy” from the year 1700 and is cellist of the Aria Quartet Basel. As a chamber musician and soloist, he performs at many important festivals and music centers in the world. Concert tours took Conradin Brotbek through Europe, the Near and Far East, Australia, China and the USA. Numerous radio and television recordings as well as record and CD recordings (ECM, Novalis, Pan Classics, Derecha, etc.) document his artistic work. Conradin Brotbek studied with Stanislav Apolin and Marek Jerie at the Lucerne Academy of Music, where he received his soloist diploma in 1985 and was awarded the Edwin Fischer Memorial Prize by the City of Lucerne. This was followed by further studies with Pierre Fournier in Geneva, with Janos Starker in Vienna and with Jacqueline du Pré and Wiliam Pleeth in London. He received lasting impetus from the LaSalle Quartet, Amadeus Quartet and Franco Rossi (Quartetto Italiano). Conradin Brotbek also works as a composer and lives in Basel.